There are some tools that just bring a smile to your face every time you use it and then there are other tools that feel almost primal when you use them. They stir something in your soul, they allow you to tame the wild. 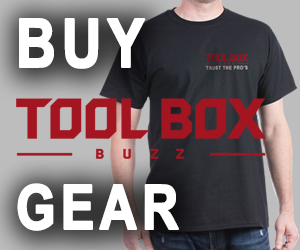 A chainsaw is one of those tools that does both. I’ve used smaller saws before but the Stihl MS362 is a whole other level in comparison. It can definitely tame a whole lot of wild. Anti Vibration System – There are a number of springs and bushings that separate the motor and bar assembly from the handles and controls, minimizing vibration. M-Tronic – Microprocessor controlled carburetion eliminates the low and high speed carburetor adjustment screws, compensates for dirty air filter and changes in elevation and fuel quality for optimum engine power at all times. Pre Seperation Air Filtration – Before air reaches the air filter, it is spun so that large particles of dirt and dust are eliminated before the air reaches the filter, prolonging the time between changes/cleaning. Side-access Chain Tensioner – easy and convenient chain tension adjustment without having to pull off the chain cover. Tool-less Fuel and Oil Caps – Easy to operate even with gloves one and a string retainer to keep them from being lost. 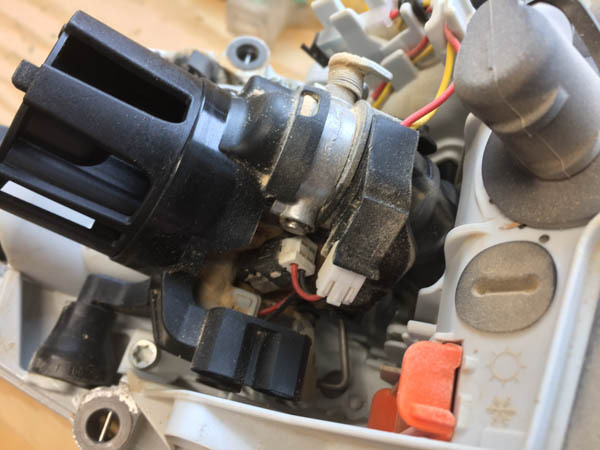 Decompression Valve – Push the decomp valve for easier starting but to be honest, this saw is on the small side and is still pretty easy to pull over without the decomp valve pushed in. I often forget to push it when starting. Back in October of 2016, we got to see first hand how this saw and the rest of their gas-powered OPE is made. I owned Stihl products in the past but I didn’t know they were made in America. I also didn’t know what kind of quality and care went into their manufacture and testing. Seeing the factory and the people behind it was confirmation that they build great equipment. Then there are the over 9,000 independent servicing dealers. I have a great one in my town, the techs there know seemingly everything about the equipment because they’re factory trained. 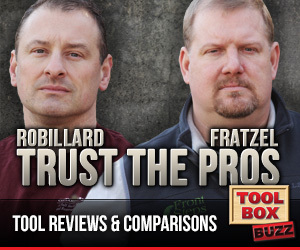 You won’t find that level of knowledge at the big box. 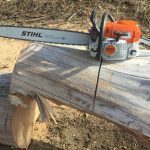 Why the Stihl MS362 C-M? When deciding on which saw to get, I stopped into my local servicing dealer, C&S Supply in Mankato, MN. 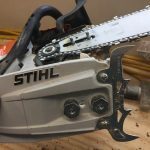 After discussing my needs with them, they helped me come to decide on the Stihl MS362 for a few reasons. The biggest reason being M-Tronic. Having the carb automatically adjust for changing fuel and air conditions is one less thing to worry about. There isn’t a primer bulb, there isn’t high, low or idle adjustment screws either. This is all taken care of by a microprocessor-controlled solenoid. I’ve been fine with my vehicles automatically adjusting themselves for years. I love seeing the technology filter down into small engines as well. Talking to my dealer, they’ve only had one M-tronic unit ever come back due to carb issues and that was when the technology was first introduced. The second reason was the power to weight ratio. 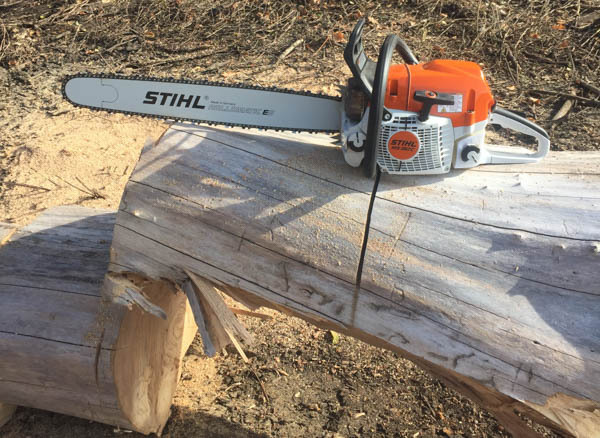 This saw has one of the better power to weight of the Stihl lineup. The case is made of magnesium helping to shave weight of the powerhead down to 12.35 lbs. Coupled with the 362’s high-compression 4.69 hp engine, the saw has about .38 hp/lb. 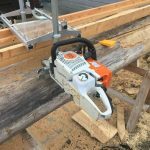 It doesn’t sound like much until you consider other ~60 cc saws like the 391 are heavier and with less power (.32 hp/lb). First a little background, I’m not a professional arborist or logger. 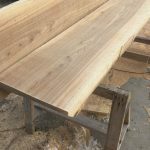 I’m a pro woodworker and carpenter that custom mills sentimental trees for customers and turns them into furniture, built-ins, mantels, and other custom pieces. Do I need a 661 or an 880 to do that work? If I was milling larger diameters, yes but about the largest tree I can handle by myself is 24-25″ round. My dealer has a handful of customers that do custom milling with their chainsaws so they were able to help get me set up. 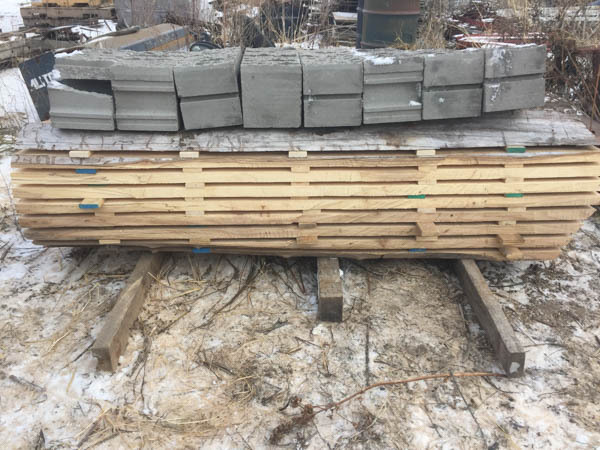 I used to mill smaller logs (~16″ diameter) with my MS251 and a Granberg Alaskan Small Log Mill. Now the 251 is dedicated to mostly bucking duty while the Stihl MS362 does the milling. I have a 24″ Alaskan Mill for the 362. I’m using mostly Stihl yellow chain with slightly custom file angles more like a ripping chain but actual ripping chain would be better. Ripping chain is faster and smoother but I just want to iterate that milling can still easily be done with yellow or even green chain. I did it for years this way. Starting this saw is so easy. A cold start, set the master control lever all the way down (triangle). A warm start just leave it in the run position. Starts every time on the first or second pull. It’s down right idiot proof. The saw has great power for its size yet it’s still very durable. The outside case components of the saw are made up mostly of magnesium. There are a few plastic parts like the handles and top cover but for the most part the construction is magnesium. 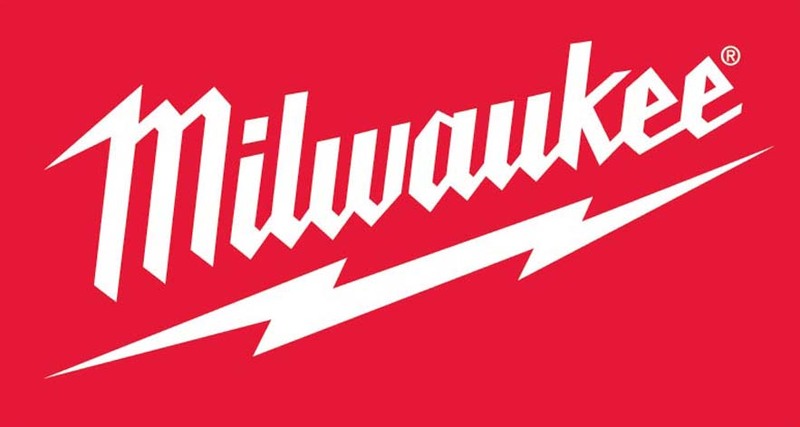 A very light, yet strong metal. Additionally, the compression of the saw is high and has good power. 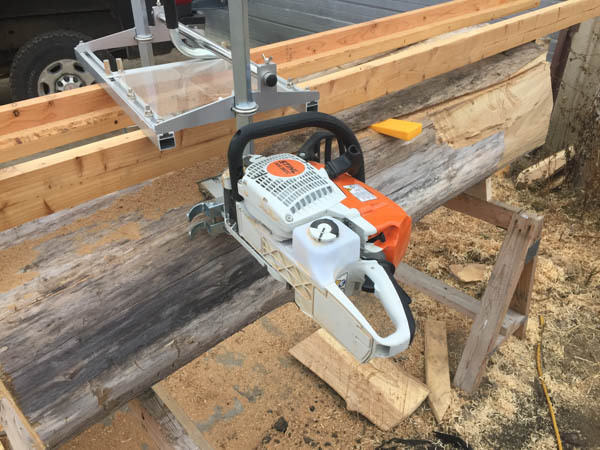 A light saw with good power makes it a lot easier to get a lot of work done with a lot less fatigue to the user. Working on the saw is a cinch. Changing the chain and flipping the bar is really easy in the field or the shop. The bar nuts are captive in the cover so they can’t be lost. Also the chain tension is easily adjusted from the side. The top cover of the saw is held on by 3, quarter-turn screws. The air filter is a pleated automotive-style and is considered a lifetime filter. It removes with a quarter turn. Just knock the dust off and reinstall. Why does a pro saw come with green chain? I’m not sure if this decision comes from the dealer, distributor, or Stihl USA but one of the first things I did was buy yellow chain. The color of chain is denoted by a green or yellow painted link on the left side of the chain (left as in muffler side of the bar). A green chain has a ramped up raker to give slightly less kickback around the tip of the bar. The yellow chain has traditional rakers. No purge bulb. I love the clean, sleak look of the engine cover with no protrusions except the decomp valve. 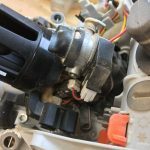 M-tronic takes care of everything carb-wise and it works very well… except when you run the saw out of gas. 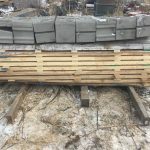 When you’re in the groove of a long cutting session, milling, firewood, or whatever, it’s easy to just keep cutting until the saw runs out of gas. 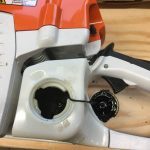 Normally you would fill up the gas and bar oil, pump the purge bulb until gas is flowing back to the tank, pull the cord, and away you go. 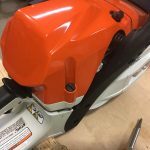 With the M-tronic saws, there is no purge so you have to pull it over about 10 times before the air is purged from the fuel line. When you’re used to only pulling over the saw once or twice to get it started, 10 times seems like forever. 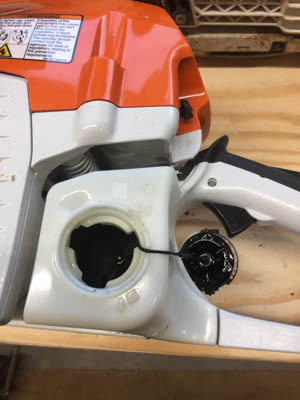 It’s a minor headache but I find myself filling the saw up when it’s only about half to two-thirds empty just to avoid the out of gas situation. 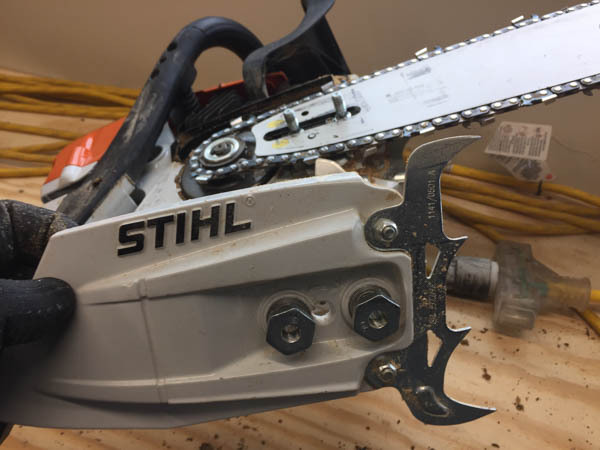 This is a professional chainsaw that is capable of working all day, every day. Mine is setup with the largest bar recommended, 25″. So for the powerhead, bar, and chain my dealer charges $779.95 plus tax. Your pricing may vary though. It is up to the dealer to decide the pricing. Right now I have some boards drying that are 20″ wide. They are going to be the tops for a mudroom built-in for a customer. This tree grew about 100 yards from the home. The Stihl MS362 is what got me that wood. It’s the perfect mix of power to weight for my work. M-tronic takes care of the engine to keep it running perfectly so I can just saw. And when the saw does need to go in for service, I know I have a knowledgable dealer. Maybe you’re in the market for a new saw, the Stihl MS362 may be just the ticket. 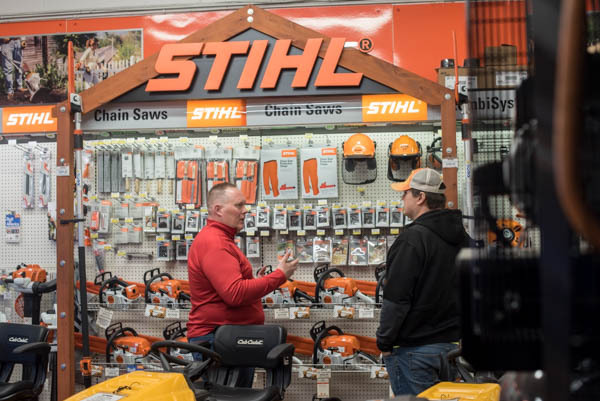 If it is too much or too little for your needs though, go talk to your local, independent Stihl dealer. 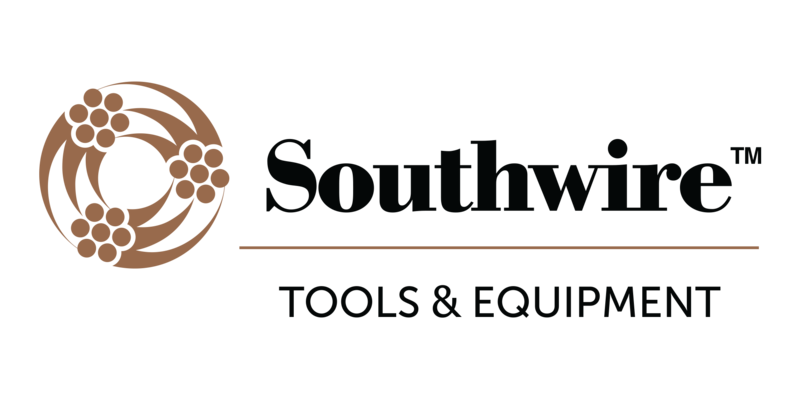 They’ll help get you on the right saw for your needs.